The Indian national football team was one of the biggest movers in the latest FIFA rankings issued today, moving up 31 places to clinch the 101st place. This is the highest that the Blue Tigers have been ranked since 1993 when they were placed at 100. The India team has been on the rise in the recent past and achieved their best ranking at the end of last year when they went up to 129 following their win against Puerto Rico. Stephen Constantine and his men have been able to continue that run of recent times, chalking up six wins on the trot at the international for the first time in the country's history. This has truly been a purple patch for the Indians who have won 11 of their last 13 games, with their last defeat coming at the hands of Turkmenistan in their last game of the FIFA 2020 World Cup Qualifiers. Their latest surge up the ladder came courtesy of two away wins. A 3-2 triumph at Pnomh Penh against Cambodia in an international friendly was followed by a spirited 1-0 victory over Myanmar at Yangon. Their victory over Cambodia was, in fact, their first away win at the international stage in 12 years, their first since defeating Pakistan in 2005. The wins meant that India, who were on 233 ranking points jetted jet to 331, becoming the second highest movers on the table after Macedonia. The Blue Tigers are now ranked 11th amongst 46 Asian teams. Both victories also saw Sunil Chhetri on the scoresheet, which helped the Indian skipper to a joint fourth place in terms of international goals scored by active players. The list is headed by the likes of Cristiano Ronaldo and Lionel Messi. 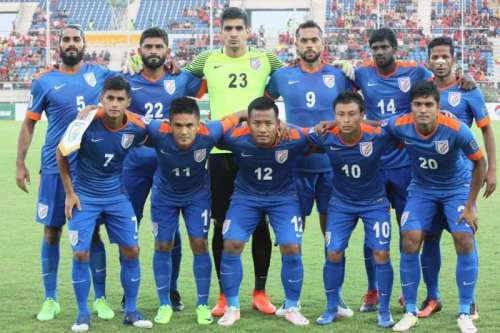 The Indian don’t take the field till June this year when they play against Lebanon in a friendly which will serve as a warm-up for their crucial game against Kyrgyzstan in the AFC Asian Cup Qualifiers. Whilst Stephen Constantine should be happy with the results, the last two games have shown that there is a lot of scope for improvement from the squad. Whilst they were totally outplayed in the first half in their game against Cambodia, they played second fiddle for much of the game in Yangon. The Blue Tigers now are in prime position to break into the top 100 of the FIFA rankings for the first time since 1994, when they rose to 94 under Jií Pešek. AFC Asian Cup 2019, India vs UAE: Can India continue their dream run and beat the hosts?